Providing Alternative Dispute Resolution Services throughout the United States. Marc has been a member of the State Bar of California since 1978 and is a founding member of Fong & Fong, a Northern California boutique Real Property/Business law firm. He has been selected as a Northern California Super Lawyer, is Martindale Hubbell Rated AV Preeminent and is Avvo Rated 10.0 Superb. His practice areas include real property/business transactions and litigation. 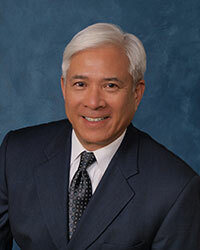 In 2005 Marc established Fong Dispute Resolution as a separate business from his law practice. Marc is a 1971 graduate of Cal State University East-Bay and a 1978 graduate of Lincoln University Law School, where he served on the law review. Contractors charged with the unauthorized release of asbestos. Copyright © Marc Alan Fong, Esq. The information on this website does not constitute legal advice, and no attorney-client relationship is created through your use of this site.